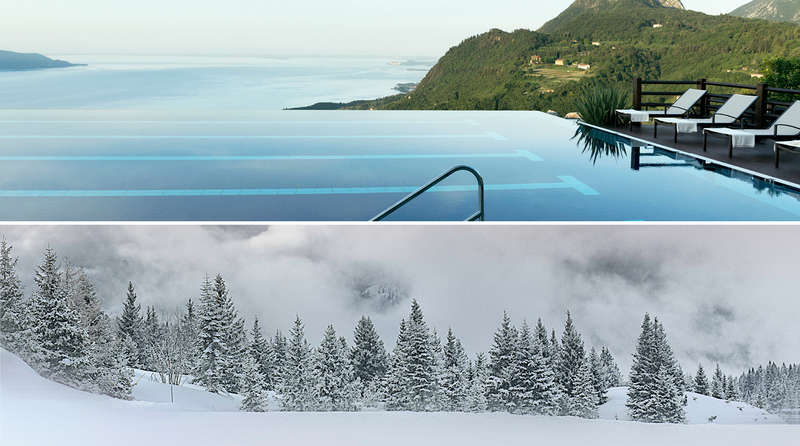 Lefay Resorts offers Eco Wellness Resorts with a reinterpretation of the traditional luxury, strong commitment to environmental sustainability and new concept of global wellness. Lefay Resort & SPA Lago di Garda is one of the international leading spa destinations, located in the spectacular Riviera dei Limoni. The property offers 93 Lake View Suites, two Restaurants where Lefay Vital Gourmet, champions the Mediterranean diet and the most authentic flavours of the region. Lefay SPA, is the temple of Wellness (3,800 smq) where body and soul are rejuvenated through the rediscovery of vital energy. Lefay Resort & SPA Dolomiti is the second Wellness Resort, set in the splendid setting of the Dolomites, located in Pinzolo, in the ski area of Madonna di Campiglio. The new Resort will feature 86 Suites starting from 57 sqm and two restaurants. Lefay SPA will be distinguished by a wellbeing area of over 5,000 sqm, making this one of the largest SPAs in the entire Alpine Region.